For mounting the A30 or A40 gas grill head. 24" post and base works well in smaller areas. Black powder post and base. One of several options for mounting a grill head. Once a grill head has been chosen, it is important to consider all the factors in choosing how to mount it. If you have a small patio, such as one in an apartment complex, you don't want a mount that will leave room for little else than the grill. 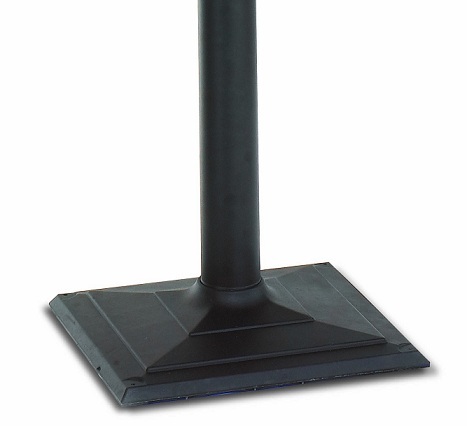 This option for "A" series grills from AEI is a 24" black powder coated post and base. Even though it is smaller, the base gives the post and grill the stability it needs to ease your mind when grilling. Consider this kit for mounting your all aluminum A30 or A40 gas grill head.